Nike seems determined to give that second place back to Jordan Brand. After losing the title of second-best sportswear brand in the US to Adidas, Jordan Brand focused more on limited releases and collaborations to boost its sales and strengthen its presence in the industry. And one of their most-anticipated and hyped releases this year is the Air Jordan 4 Cactus Jack. In addition to their ongoing work with Virgil Abloh, Jordan Brand is investing in more limited collaborations with big names from the sports, fashion, and music industries. We’ve seen co-creations with names like KAWS, Levi’s, Lebron James, and lately with rapper Travis Scott. 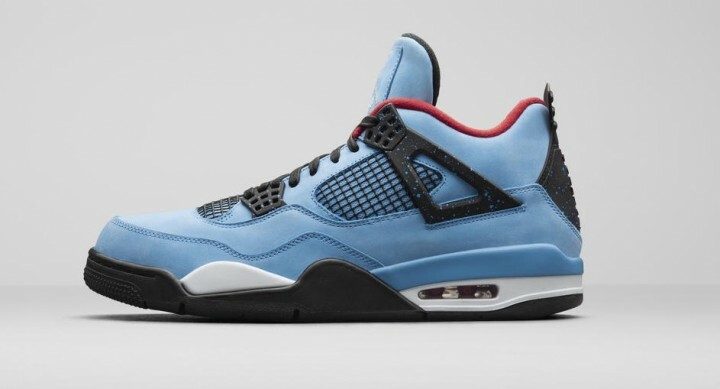 Contradicting news leaked regarding the release date of the Air Jordan 4 Cactus Jack. Some leaker accounts said it was releasing on June 23rd, while others, that proved more accurate, said that it will drop on June 9th, 2018. 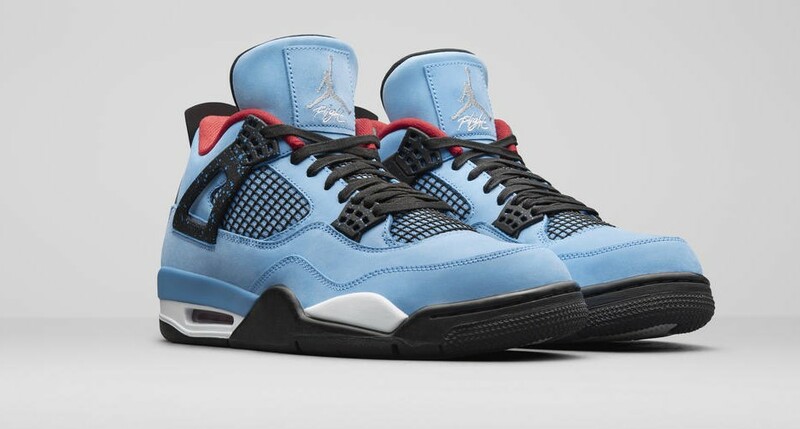 The Air Jordan 4 Cactus Jack or Oilers, is not Travis’ first time with Jordan brand. In fact, he’s a well known Jordan fan that last year he was able to put his touch on the Low Air Force 1 and call it his own. Since then, sneakerheads realized this partnership was going to last. And this made the hype over the Cactus Jack real. 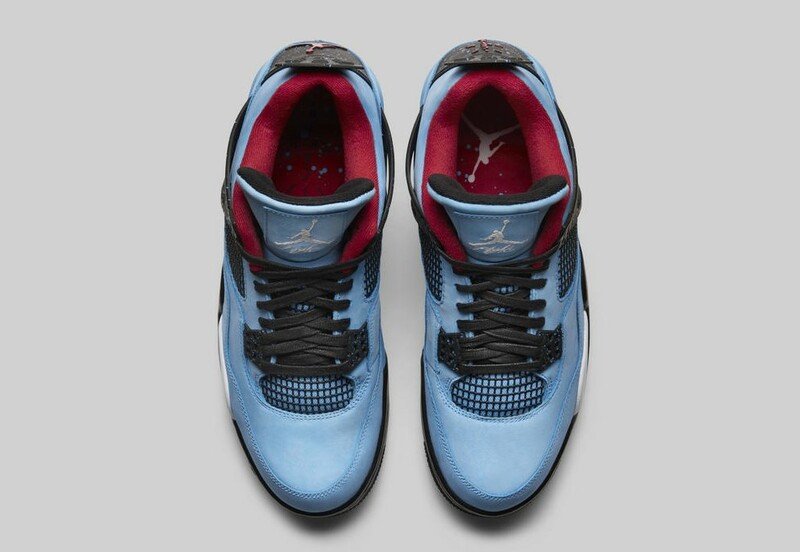 This version looks very similar to Eminem’s 2005 Air Jordan 4 Encore, only it boasts a lighter shade of blue. The Cactus Jack sneakers come dressed in bright blue nubuck uppers with some hints of black and red. 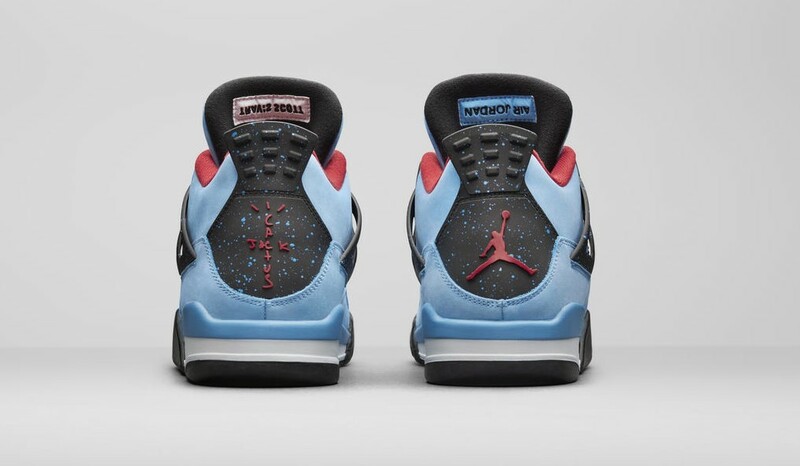 The black heel tab speckled in white and blue holds the Jumpman logo in red on the right shoe. While the left one shows a red Cactus Jack branding. The Air Jordan 4 Oilers will hold the price of $225, making enough space for a real profit on the aftermarket. Early pairs of the Cactus Jack are currently listed for over $600 on StockX and Goat. Adidas and Kanye West seem to have adopted a strategy, contradicting to that of Jordans’. More Yeezys are being released every season and every new release drops in a higher stock level. This has caused some serious trouble and rumors among the sneaker community. Sneakerheads are starting to question the worthiness of Yeezys, and whether other brands or designs could make more profit when sold. Dear sneakerheads, as we always try to help you get ahead of your competition, we’ve compiled a list of all the early links you need to successfully cop the Oilers. Now that you have the early links needed, expect the Travis Scott’s Air Jordan 4 Cactus Jack, to release online and at select retailers on June 9th, 2018. And after you cop go party, but only for a short while. The Air Jordan 4 Levi’s will be dropping the following week in Black and White and in very limited numbers.